Enriched grit mixture for birds. 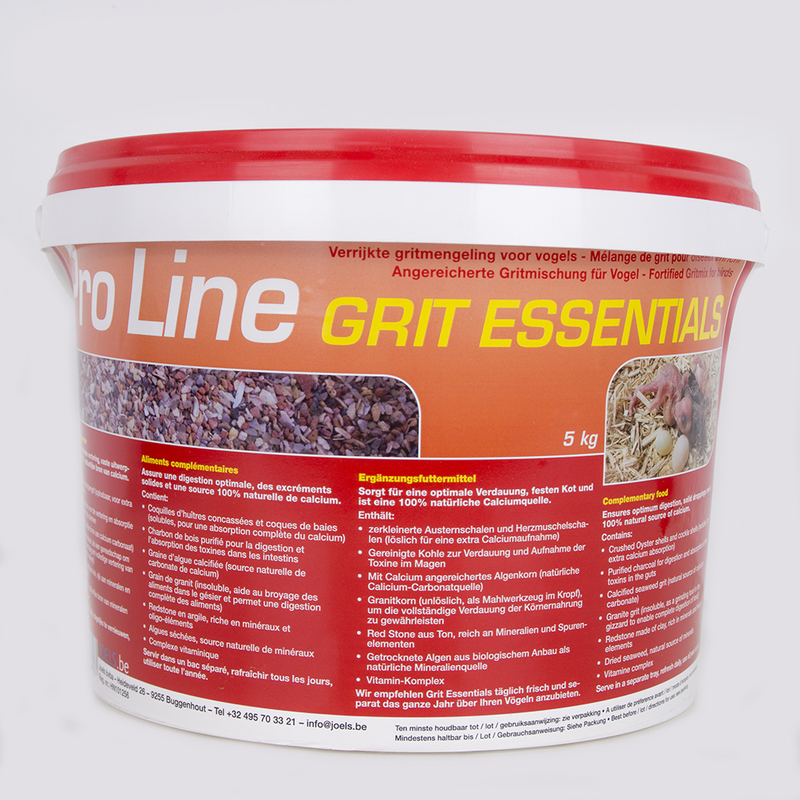 Grit is important for an optimal digestion of food, firm faeces and functions as a natural source of calcium. This mixture is also enriched with a broad range of vitamins to support the health of your birds in many ways. Sea shells, grit, redstone, seaweed lime, calcium, charcoal, aroma. Serve in separate tray, refresh daily. Can be provided through the entire year.